Baisakhi Mela is a mega event it is a religious festival, harvest festival and New Year`s Day all rolled into one. In April, this day marks the beginning of the Hindu solar New Year. For the Sikh community, Baisakhi has a very special meaning. It was on this day that their tenth and last Guru, Guru Gobind Singh - organized the Sikhs into Khalsa or the `pure ones`. By doing so, he eliminated the differences of high and low and established that all human beings are equal. Baisakhi,Vaisakhi is widely celebrated by Sikhs in Western Punjab (Pakistan) as well, with festivities centered on the Panja Sahib complex in Hasan Abdal, numerous Gurudwaras in Nankana Sahib, and in various historical sites in Lahore. 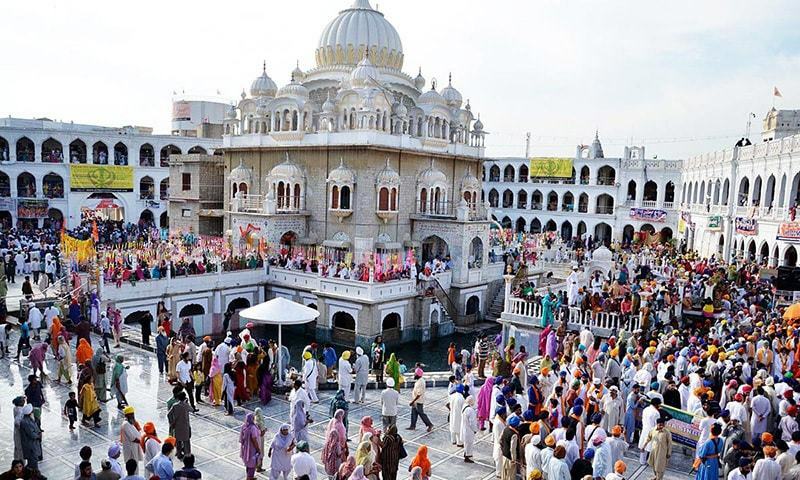 It is culturally and traditionally regarded as an important and significant Punjabi festival, further exemplified by the thousands of Sikh pilgrims from around the world arriving each year to commemorate the day at the sacred Sikh sites of Nankana Sahib and Hasan Abdal. Further, local Pakistani`s offer their well wishes and welcome the incoming pilgrims. People of Punjab celebrate the festival of Baisakhi with exuberance and devotion. As the festival has tremendous importance in Sikh religion, major activities of the day are organized in Gurdwaras. People wake up early to prepare for the day. Many also take bath in the holy river to mark the auspicious occasion. After getting ready people pay a visit to their neighborhood gurdwara and take part in the special prayer meeting organized for the day. At the end of the Baisakhi ardas, congregates receive specially prepared Kara prasad or sweetened semolina. This is followed by a guru ka langar or community lunch. And this event goes.